Children learn to be kind and loving to express feelings in a positive way, and to listen. We have many social events and other activities for your child to learn how to interact socially with others. 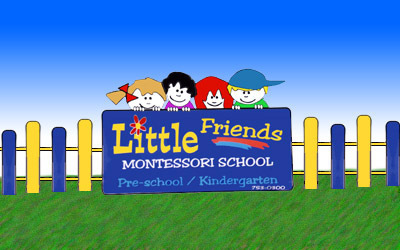 At Little Friends Montessori School each child is treated with dignity and respect. We have a positive approach to discipline providing freedom within limits. Children develop inner discipline and become responsible for their own behavior. Day care activities include play times, story times, cooking, art and music.